Looking for a delicious treat that’s also packed with health benefits and scrumptious veggies? We’ve got you covered. We’re changing the way we think about muffins by making them healthier. 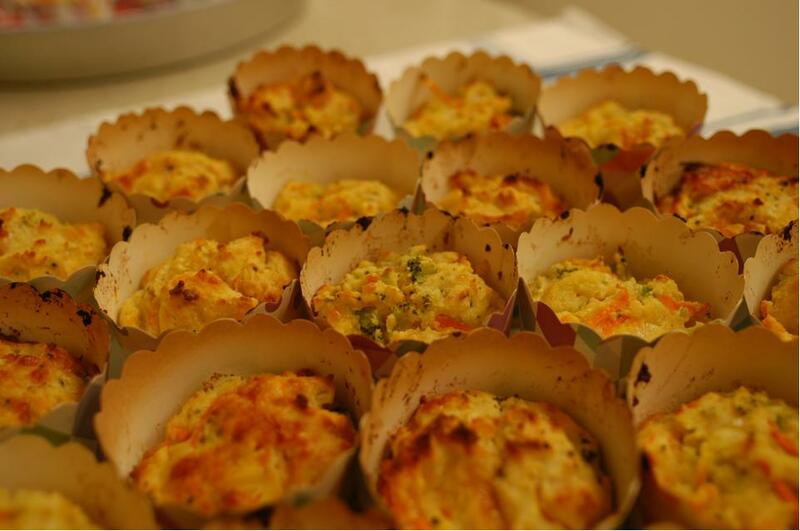 If you’re interested in switching up your usual baked goods menu, join us in making these mini savory muffins! Mix dry ingredients (flour, coconut flour and cheeses) in a bowl. Mix wet ingredients (milk, eggs, butter, liquid stock and yogurt) in a separate bowl and then add to dry mix, mixing well. Add the veggies to the batter and mix well. Fill your cupcake papers to ¾ with the batter. Bake for 20-25 minutes until toothpick inserted comes out dry.